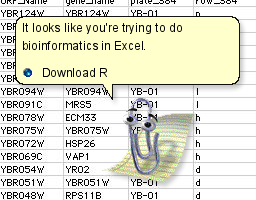 Also, when you say Excel file, what do you mean exactly? Most machines are set to open CSV and TSV files on Excel by default - check out the actual file extension. Also, if someone gave you the data in a spreadsheet, ask them for the plain text data. Let them know that Excel and VCF is a bad mix. If you're using Excel, see my comment above. Convert genotype to nucleotide genotype?